Petruchio hires the tailor to make a custom dress for Katherine to wear to Bianca's wedding banquet. However, he rejects the dress in order to tease Katherine, as part of his ongoing effort to tame her. Petruchio is rude to the tailor, but has Hortensio tell him that he will at least get paid after all his effort. 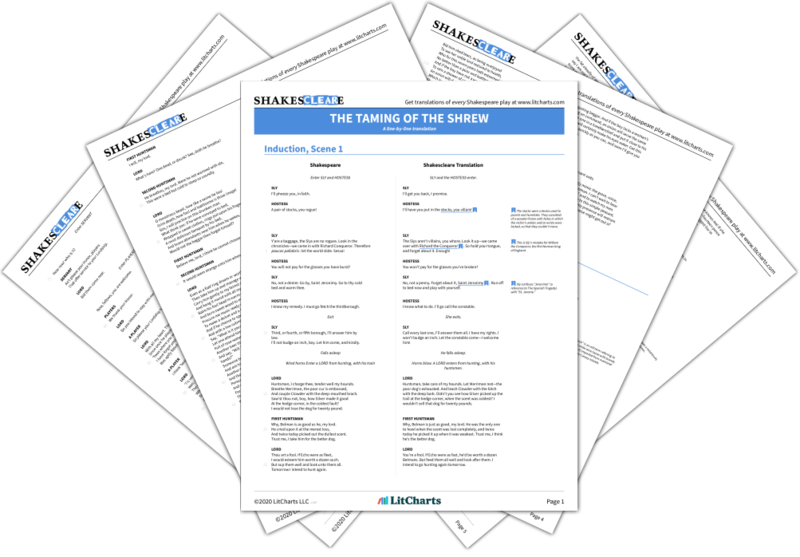 The timeline below shows where the character Tailor appears in The Taming of the Shrew. The colored dots and icons indicate which themes are associated with that appearance. Fredericksen, Erik. 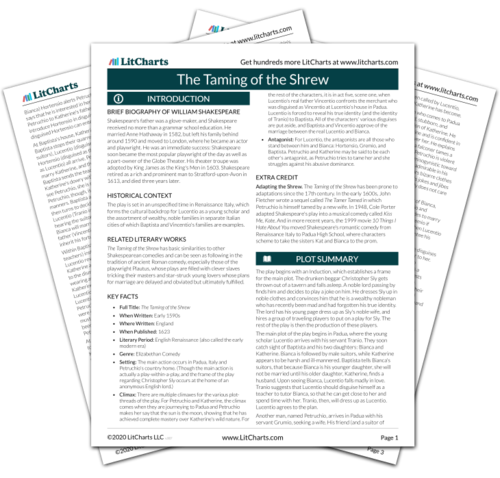 "The Taming of the Shrew Characters: Tailor." LitCharts. LitCharts LLC, 11 Nov 2013. Web. 22 Apr 2019. Fredericksen, Erik. "The Taming of the Shrew Characters: Tailor." LitCharts LLC, November 11, 2013. 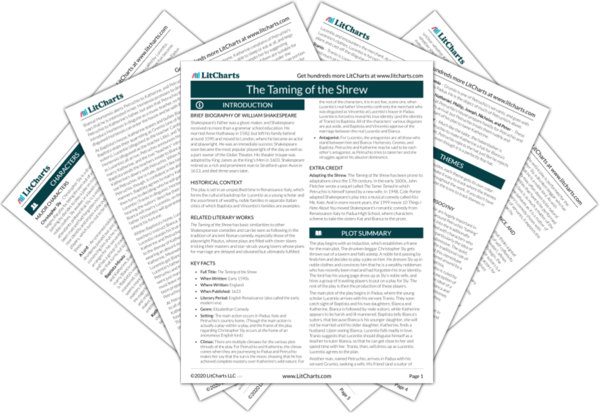 Retrieved April 22, 2019. https://www.litcharts.com/lit/the-taming-of-the-shrew/characters/tailor.